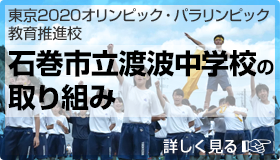 In Ibaragi’s Kashima City, as the football game is held for 8 days during the 2020 Olympic Games, “Face painting the Tournament with fascination!” And by 2020, 100 face painters will be trained to support this event! Twenty local elementary school students, middle/high school students, parents and children were invited to participate in the first workshop. They enjoyed learning how to paint the Japanese flag and soccer ball with professional face painter Hitomi Fukai.